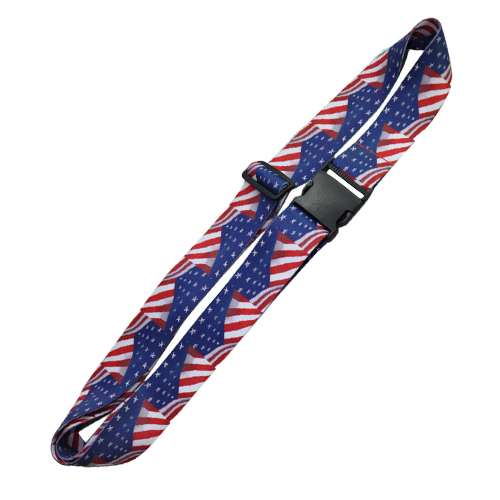 Luggage straps are a great way for travellers to identify their luggage and with options of an adjustable buckle or combination lock, our Sublimated Luggage Strap is a great addition to your promotional product range. Whether your business is in the travel and hospitality industry, or in any other industry, a branded luggage strap can help get your brand out to the wider world, bringing you the possibility of a wider customer base. Our Sublimated Luggage Straps have a logo print area of 1800mm x 50mm giving you plenty of space for printing your logo or marketing message and with a bright finish, these luggage straps are sure to catch the eye as they go around on the airport turnstile.